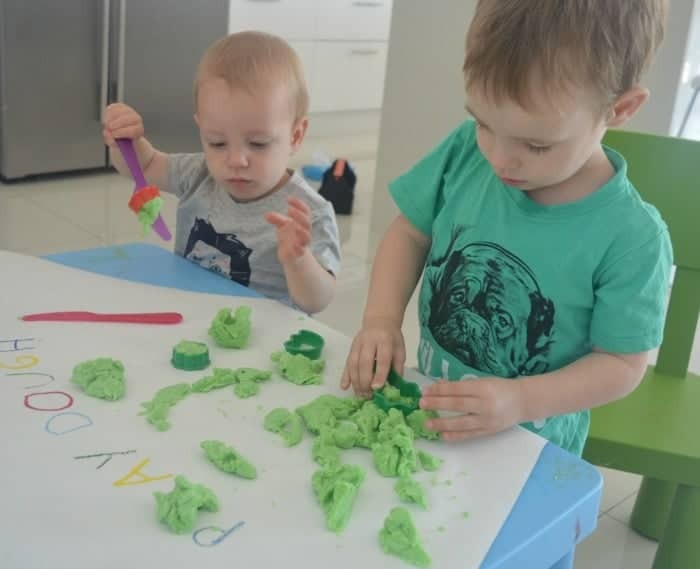 Last week I thought I’d give them a helping hand with their creativity and decided to make some play dough. I used the same recipe my Mum used to make for my sister and I when we were kids, and found Mum had carefully written down all the ingredients but failed to record the method. 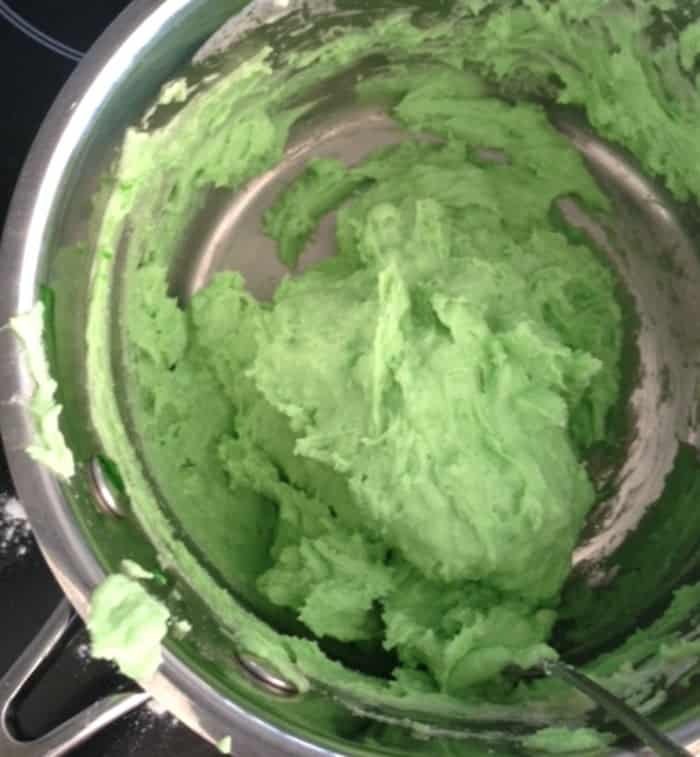 I figured there couldn’t be too much to it, I mean it’s Play Dough – and thankfully my first batch turned out! Both of the boys were watching me with interest as I set up the table with a few tools for them to play with. 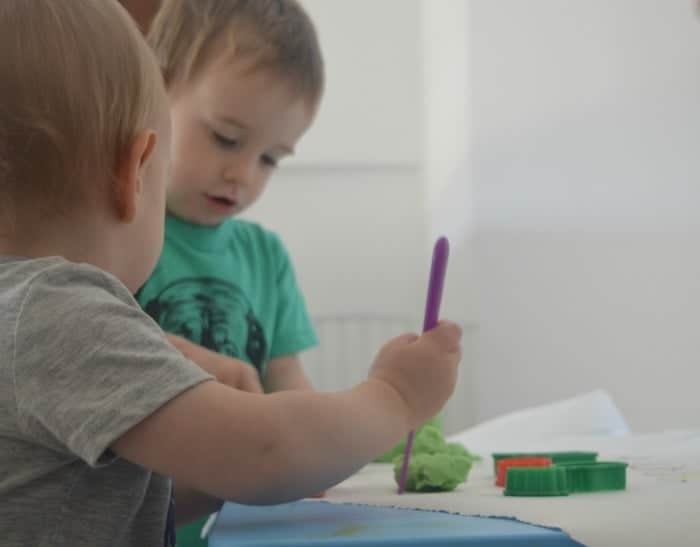 It didn’t take long for our Big Boy to work out what was happening, and before I knew it they were both happily cutting, rolling and playing away. Over a medium heat, stir continuously for 4 – 5 minutes until ingredients have combined and a sticky dough forms. Remove dough from saucepan and place in a covered container to cool for approximately half an hour. What activities do you do with your kids to encourage creative play? I hope he has fun! 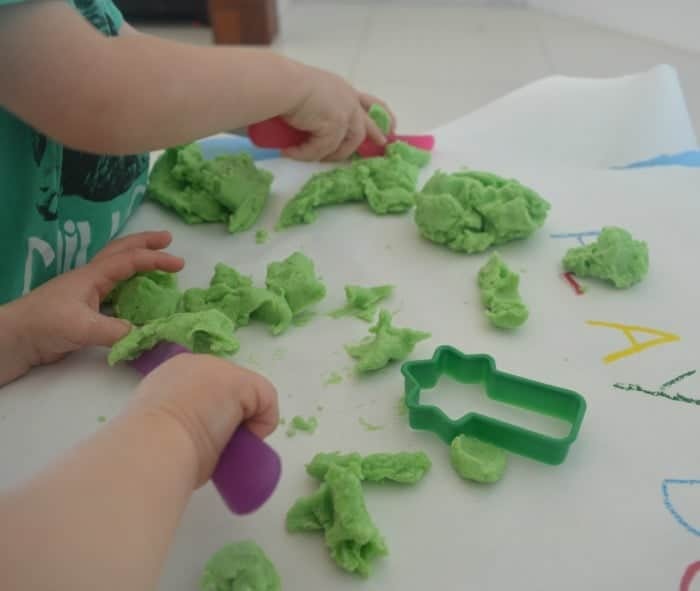 My Toddler loved choosing the colour of his play dough! 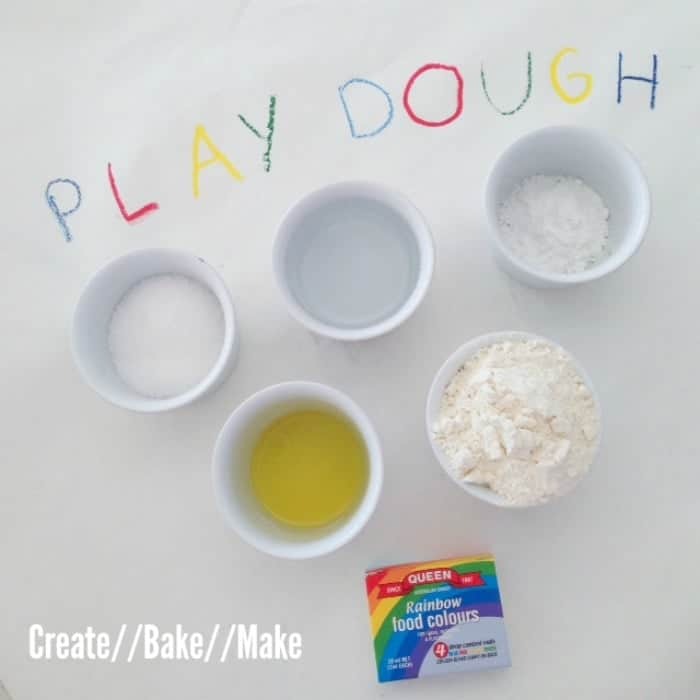 I need to make some play dough. I’ve just started homeschooling one of my boys. This will be a great thing to do together then use. This would be a great activity to work on together – enjoy! Yikes, I don’t even want to think about play dough up the nose! They did play nicely together for awhile, it inevitably ended up in tears though. 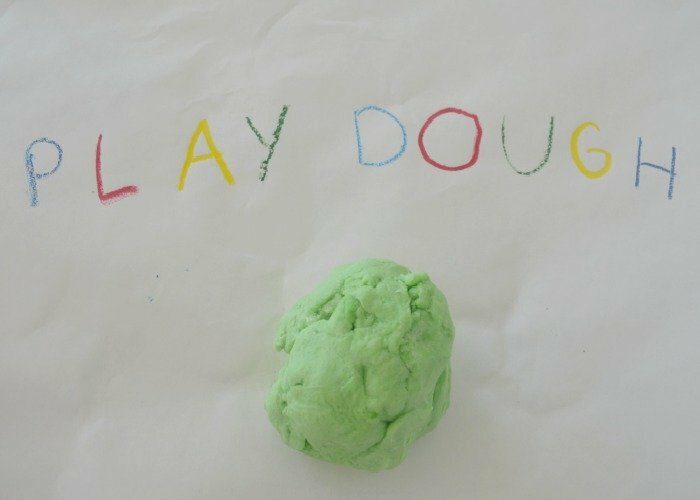 I have forgotten all about play dough! I cannot wait for my daughter to start playing with it. 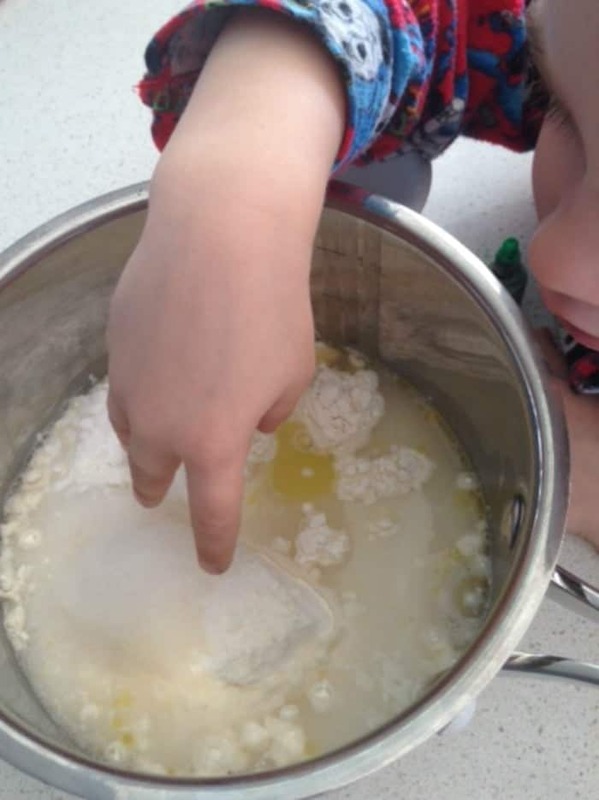 I love that you have made your own- diy activities with kids is always messier yet so much more fun! You are right, it is messy but so much fun and my boys had a great time. I just popped the play dough in a container in the fridge and we’ve pulled it out a few times since to play with.